I had to do a double take when I saw this adorable calendar ring pillow on Martha Stewart, because I knew I had seen that look somewhere else. 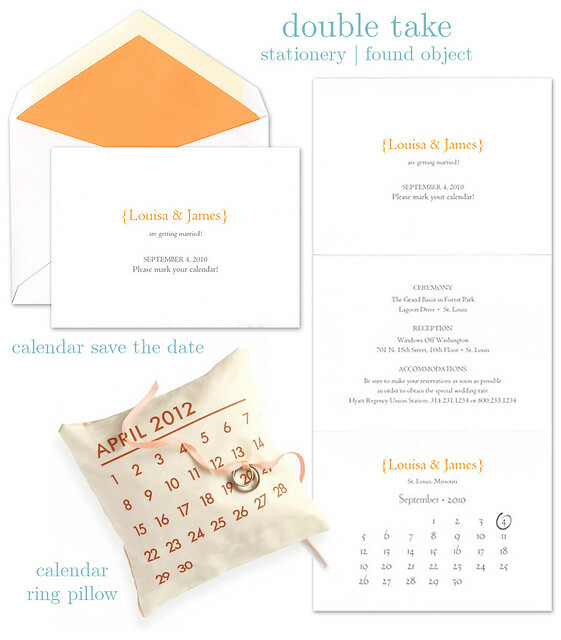 After a quick scan of our Save the Date cards, I knew why the ring pillow looked familiar -- it's just like this calendar Save the Date card by William Arthur! Would you highlight the date of your big day with these blissful accessories?